Batch & Brine, a family-owned and operated world kitchen and craft cocktail bar, is inspired by treasured family recipes passed down through generations. The menu showcases burgers, sandwiches and shareable plates that bring world flavors to America’s traditionally favorite foods. 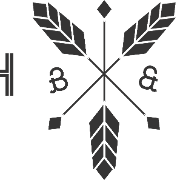 The name Batch & Brine represents the preservation of the family’s culinary techniques, as well as their appreciation for small, sustainably produced local batch beers, wines and spirits.